Modo members, friends, colleagues… 2011 is coming to a close. We’ve had a great year at Modo with lots to celebrate and appreciate. Thank you for being part of our growth and success for the past 15 years; we simply could not have come this far without your support. To our members who have helped make carsharing in Metro Vancouver what it is today, thank you for actively shaping sustainable transportation in our region. From our Modo family to yours – have a safe and happy holiday! join us for a LOCO mixer! 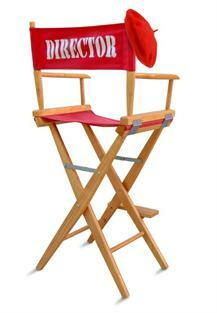 A full description of board member responsibilities can be found here, including our Candidates Package. The deadline to submit your nomination is noon on Friday, January 6, 2012. Nominees are expected to attend our Annual General Meeting on Thursday, January 26, 2012 when four board members will be elected. Best of luck! VEHICLE UPGRADE at Keefer, a 2009 red Nissan Cube hatchback. VEHICLE UPGRADE at Latin Supermarket, a 2012 blue Nissan Versa sedan. VEHICLE UPGRADE at Café Gloria, a 2010 red Nissan Sentra sedan. NEW LOCATION at St Catherines + E 29th, a 2006 grey Toyota Corolla sedan. VEHICLE UPGRADE at E 5th + Sophia, a 2007 white Mazda 5 minivan. VEHICLE UPGRADE at E 19th + Main, a 2010 grey Nissan Sentra sedan. VEHICLE UPGRADE at W 17th + Tupper, a 2011 grey Nissan Sentra sedan. VEHICLE UPGRADE at 2360 Yew @ W 8th, a 2011 blue Nissan Sentra sedan. VEHICLE UPGRADE at Tolmie + W 10th, a 2009 blue Honda Civic sedan. VEHICLE UPGRADE at Emerald Terrace, a 2010 grey Nissan Sentra sedan. VEHICLE UPGRADE at Mole Hill – Bute Street, a 2010 grey Nissan Sentra sedan. VEHICLE UPGRADE at Electric Avenue, a 2010 grey Nissan Sentra sedan. Looking for more locations? Find them at www.modo.coop/find. 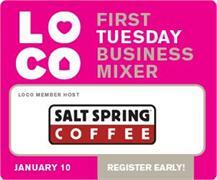 LOCO's successful series of First Tuesday Business Mixers will kick off 2012 with a party hosted by Salt Spring Coffee. The mixers are a great way to meet local businesses that are committed to growing a local and sustainable economy. Modo will provide some wheels to transport guests to the new Salt Spring Coffee facility in Richmond. Be a guest of Modo; register here through the event page and meet some great local businesses! Weather forecasts are calling for one of the coldest winters in Metro Vancouver. We could see white flakes any moment! Road safety is always our priority at Modo. We ask Modo members to think carefully about driving in snowy conditions. If you cancel a booking with 12 hours' notice, there is no cancellation charge. If you do need to drive, please book extra time in case you need to clear a snow bank around a Modo vehicle. 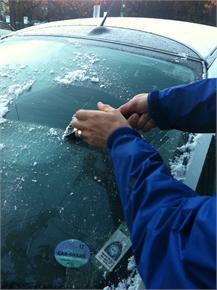 Ice scrapers are stocked in the driver's side door pocket and year-round, snow tires are available on 10% of our fleet. Just search for 'snow tires' in 'Required Features' in Engage. The United Nations has declared 2012 the International Year of Co-operatives. 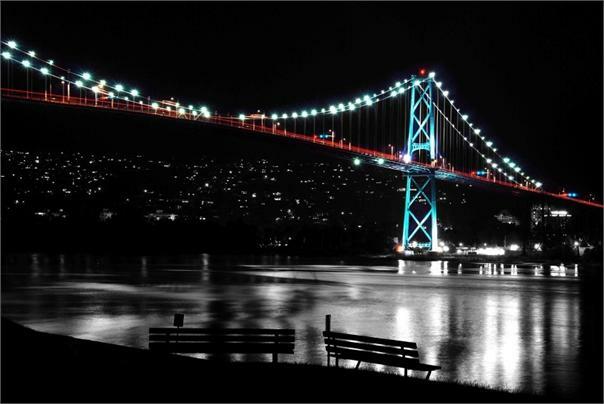 Festivities will officially launch in British Columbia on January 12, 2012. Bookmark the BC Co-operative Association’s home page and check often to stay on top of events celebrating co-ops. Modo will turn 15 at the end of January. Come out to our Annual General Meeting and meet fellow co-op members who have been part of an integral movement in shaping sustainable transportation throughout Metro Vancouver. We have a special guest speaker lined up, someone sure to turn your crank! Mojo is the gift of carsharing. It's the perfect gift because you're not only doing something thoughtful for someone, you're doing something amazing for our communities: fewer cars on the road and cleaner air for everyone. You don't have to be a member to buy Mojo. You can purcahse Mojo in any amount and the lucky recipient can use Mojo towards sign-up fees, purchasing shares, or carsharing. Learn more here or contact us!